A few passing clouds. Low around 60F. Winds SW at 5 to 10 mph..
A few passing clouds. Low around 60F. Winds SW at 5 to 10 mph. The Requiem’s vague backstory has been romanticized, and purposely muddied to protect its place in history. From the glorious “Amadeus” (historically inaccurate, but glorious), to its use in film, television and commercials, and to its worldwide performances in every time zone on the planet on Sept. 11, 2002, as a memorial to the events of Sept. 11, 2001, the Mozart Requiem holds its place in music history as one of the world’s most beloved choral masterworks. The Requiem was begun in the last year of the composer’s life, and was incomplete at his death. It was completed by family friend and assistant to the composer Xavier Süssmayr. Although others have tried their hand at completing the work, it is Süssmayr’s version that was heard in the years after Mozart’s death, and it is the one that most choirs perform. For this concert the Choral Society will be accompanied by orchestra and will feature soloists from the area. All four soloists have previously performed with the society. Soprano soloist Jacquelyn Culpepper has shared her beautiful voice with audiences across the United States, Europe, South America, Central America, the Caribbean and Asia, including Japan, Vietnam, Taiwan, Thailand and Brunei. Her career highlights include performing more than 85 roles in opera and oratorio, and solo concert tours throughout the world with American Voices. Her talent has taken her to prestigious concert venues from Washington’s John F. Kennedy Center for the Performing Arts to Atlanta’s Symphony Hall, and with the late, internationally renowned conductor Robert Shaw. Mary Gayle Greene, mezzo-soprano, is renowned for her broad vocal range and rich contralto voice quality. Her beautiful singing has led to engagements in Europe and the United States. A review in the Raleigh News and Observer stated, “This is a voice of molten chocolate … a dark mahogany, deep plush mezzo-soprano sound.” Greene teaches voice at the Hayes School of Music at ASU and makes her home in Boone. 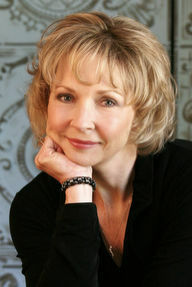 A graduate of the University of Tennessee, she has taught at Elon University and at UNC-Chapel Hill. She is proud that her students have careers as successful singers, artist managers, music therapists and educators. Tenor Randall Outland’s operatic repertoire includes 26 roles in 34 different productions performed in major opera houses in Europe, North and South America. He has collaborated with conductors Gerard Schwarz, Nikolaus Harnancourt, Sir John Pritchard, Gerd Albrecht and Peter Maag, among others. Outland has performed oratorio and concerts extensively in the United States and Europe. Venues have included the Beethovenhalle in Bonn, Germany, as tenor soloist in Beethoven’s 9th Symphony; the Oslo Mozart Festival in Oslo, Norway, singing the Mozart Requiem; the Mostly Mozart Festival at Lincoln Center, singing the tenor soli in Mozart's Große Messe, with Robert Shaw conducting; and in Boston, the American premiere of Requiem by Swiss composer Frank Martin, with the John Oliver Chorale. Outland has performed literature spanning the works of Bach, Handel and Mozart to the 20th century works of Britten, Janácêk, Ramírez and Stravinsky. He continues to explore traditional and modern oratorio and concert repertoire. Bass-baritone Dan Boye has been widely featured as an operatic and musical theater performer and as an oratorio soloist. He has performed principal roles in over 30 Opera Carolina productions. For a dozen years he was a guest artist with the Breckenridge Music Festival. Orchestral appearances include the Canton, Ohio, Charlotte, Hendersonville, Fayetteville, Asheville and North Carolina symphonies in a variety of capacities. Recent recitals include “Do you love me?” a journey through the ages and stages of love, and “Over There,” a World War I retrospective. A graduate of Emory and Henry College and the University of Georgia, Boye is currently professor of physics at Davidson College. 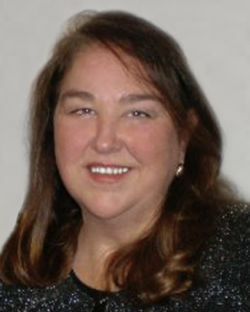 The Moore County Choral Society is conducted by Anne Dorsey. Yaroslav Borisov serves as accompanist. The society is in its 44th season and continues its mission to both educate and entertain, and fulfills this mission with the presentation of choral masterworks like the Mozart Requiem. The Choral Society also sponsors the Moore County Choral Society Children’s Chorus, and a small ensemble for adult singers. Tickets for the concert are $20 for adults and $10 for students. They can be purchased online at ticketmesandhills.com, at the Arts Council office, Kirk Tours of Pinehurst, or from Moore County Choral Society Members.